On Wednesday four Basketball Spotlight Alums were selected for the 2015 McDonalds All American Game. 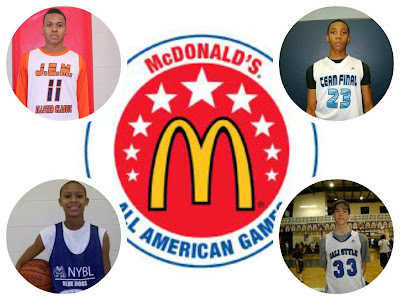 We are extremely proud of Isaiah Briscoe, Malachi Richardson, Perry Dozier Jr. and Stephen Zimmerman. This is a huge accomplishment and you guys should be proud. 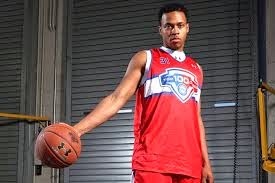 Isaiah Briscoe: This dominate force and former Diary Of A Baller put together the best 8th grade season in Spotlight history. After taking home POY honors he went on to have a stellar high school and AAU career. 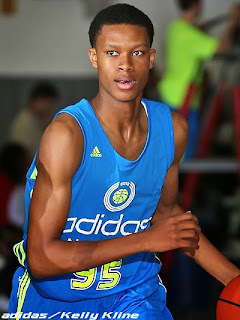 Last summer he led the Playaz Basketball Club to the EYBL championship. He’s currently listed as the #1 point guard in the country. Malachi Richardson: This former Diary Of A Baller is perhaps the best shooter to enter our events. At a young age Richardson starred with the Gauchos, Youth Interlock and Team Final. 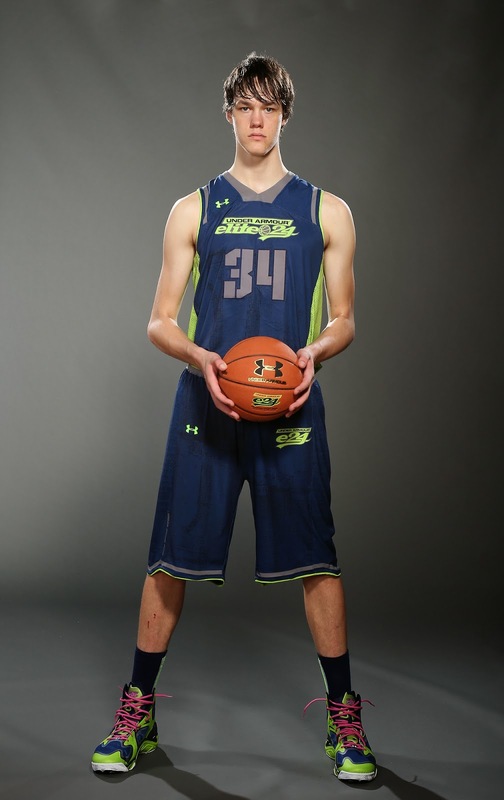 In high school he won the TOC crown as a sophomore and helped Team Final become one of the best teams on the EYBL. Perry Dozier Jr.: Dozier had crazy buzz when he made his Spotlight appearance as a 6th Grader with the Columbia Slammers. The smooth shooting guard and playmaker played with a national rep for most of his career. 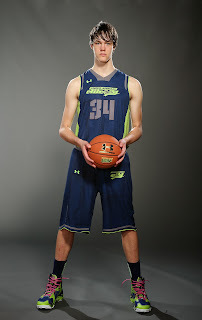 He returned from knee injury and regained his form as one of the top players in the country. Stephen Zimmerman: Zimmerman came thru with that loaded Cali Styles squad that blew the doors off the Clash For The Cup. The long lefty remained one of the top ranked players in the country and has very big name school in America chasing him. The Hotel Unlimited Group has decided to host the Winter Warz. 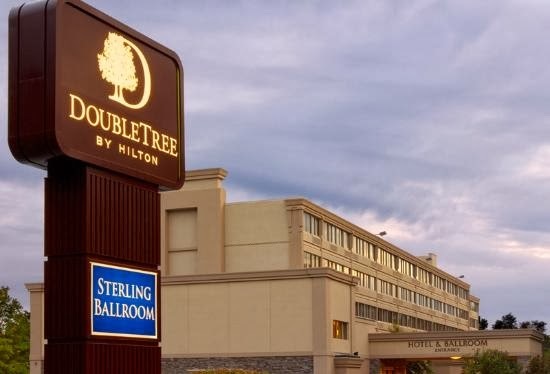 The group has several hotels under their umbrella with great deals. Below is a list of the hotels and the rate that have. Please register quickly because they will sell out soon especially with the rate. ASK For BBS Code! Monday, I woke up and started to appreciate MLK Jr. Because without him and other pioneers in the Civil Rights Movement, I would not be afforded the same opportunities that I have had today. During the day, I hung out with my little brothers Cole and Bryce. After, I went home to get ready for my trip to Washington DC. Tuesday, I left for my class trip to DC. It was a 4 hour drive which felt like 7. When we got there we went to the space museum, which was pretty cool and we got to see space shuttles and a variety of planes that were used at one point in our history. After, went to see a play called "Sheer Madness" it was really funny, surprisingly, and we had a fun time. Wednesday, we went to Arlington National Cemetery. Where, we remembered our lost soldiers and commemorated the deaths of the unknown soldiers. Afterwards, we went to the Luray Caverns, which was really cool. Then we went to see the Vietnam Veterans Memorial, Korean War Veterans Memorial, and lastly we saw the internationally known and historic Lincoln Memorial. I've always seen it in movies and recognized it's significance but never saw it in person. 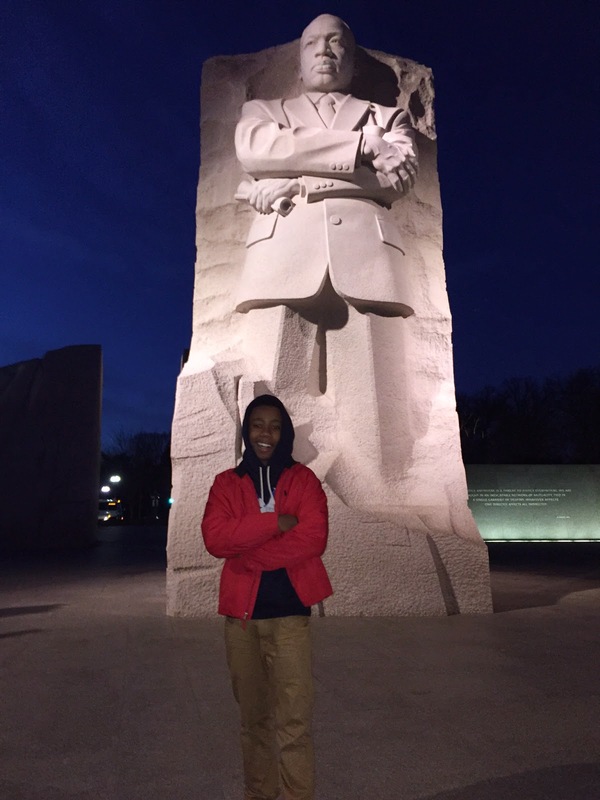 I also got to stand on the exact spot where Martin Luther King made his famous, "I Have a Dream Speech", which created a better life for future African ­American children along with future other cultures. Which I am more than grateful for. Thursday, We went to George Washington's house (Mount Vernon) which was much cooler than I thought. Later that day we had a tour of the Capitol building and was able to meet and talk with multiple senators and representatives in government. But, the Capitol building has its own history in itself which I didn't know before. I got to listen in on some issues that congress are working out as we speak. It was really cool. Friday, it was the last day in DC unfortunately. In the morning before we left, we went to the Newseum, where we saw every major news story that's happened in America (I think) After, we went to the White House to take pictures. Then, it was back home. Saturday, was a really chill day, except for the fact that I wasn't home for the week so, I had many chores to do. Once, I finished that we went to church and went out to dinner. Sunday, I went to see my future wife.. Skylar Diggins, again! I went to her basketball skills camp with my little bro. Cole, and my 2 twin sister. Cole and I were the only guys in the camp but we got some good work in and Skylar Diggins was talking to us for a lot of the camp. I also did some drills with her, and I realized she works extremely hard. It was a pretty good workout and Ilearned a lot about my eating habits as a athlete. After, I got ready for this major storm that's suppose to come. Peace, See Ya next Week! 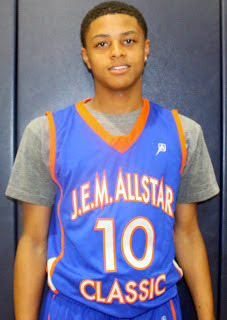 Basketball Spotlight Alum Anthony Cowan Jr. has committed to The University of Maryland. Cowan starred on the Spotlight circuit with DC Assault AKA (The MOBB). He also played in the Super Showcase and the J.E.M. ALL STAR CLASSIC. Anthony is currently listed as one of the top point guards on the East Coast. His father was excited about the commitment and remembered their experience with Basketball Spotlight. “You guys do so much for these young players. You give them the platform to perform and exposure before anyone else know about them. 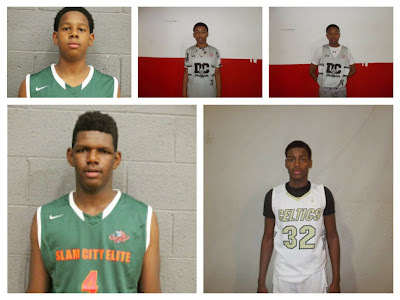 Playing in Basketball Spotlight was definitely a spring board Anthony and his teammates from DC Assault. He appreciate what you guys do up there” he finished. Basketball Spotlight would like congratulate Anthony on his college selection and wish him the best in the future. 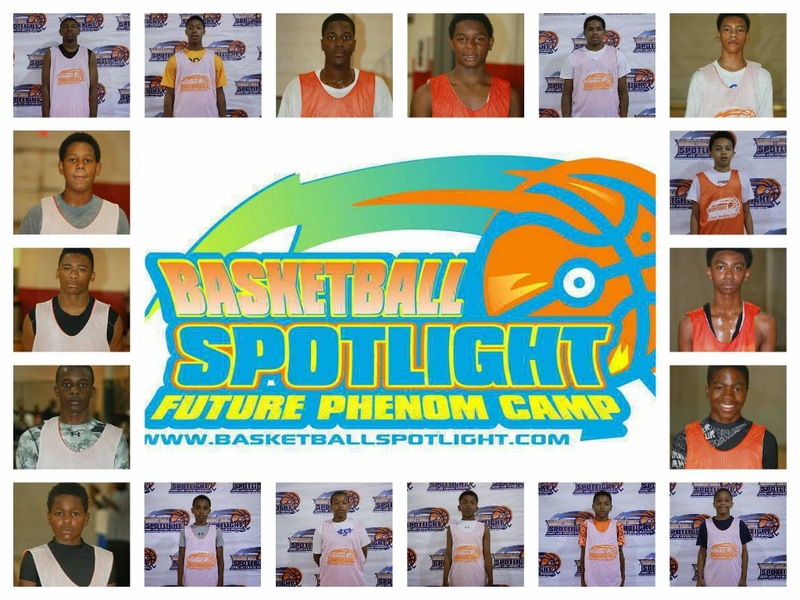 The Basketball Spotlight Future Phenom returns August 22nd and 23rd. Last year this event was rated as the #1 grammar/middle school camp in the country. It featured the top players in America and provided more coverage than any previous camp in history. Many players showed up to show their worth while others introduced themselves to the basketball world. This event is sure to sell out fast don’t miss the opportunity of a lifetime. Click Here To Check Out Coverage From Last Year’s Camp. Basketball Spotlight Winter Warz Deadline Is Near! The Basketball Spotlight Winter Warz is scheduled for February 7th and 8th. Some of the top teams in the region have already committed. The event will be held at Hoop Group Headquarters including the 4th and 5th Grade teams. Registration deadline is January 28th. Teams not fully registered will be in jeopardy of losing their spot. No Exceptions! The Basketball Spotlight Top 10 7th Grade teams are listed below. Remember these rankings are just our opinion and should be taken as such. 1. Terror Squad: Formerly Slam City Elite these boys have stretched their winning streak to 31-0 after winning the Jr. Hoophall Classic in Springfield, Massachusetts. Next they might make a trip up to Winter Warz. 2. Team IZOD: IZOD came up short against Terror Squad in Springfield. They look to win their first Spotlight banner of the year at Winter Warz. 3. PSA Cardinals: I think the Cardinals are ready to take that championship step. They will have the opportunity at Winter Warz. 4. 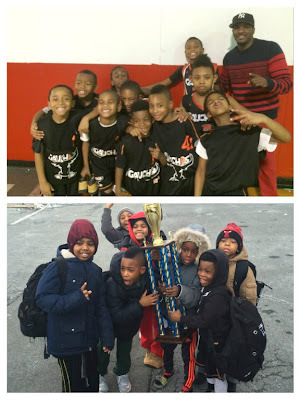 DC Premier: Premier made a championship game run during the Clash For The Cup. They should be ready to go when we return to their area for the DMV Jamboree. 5. Gauchos: The Choz have one of the best teams around. I think we have a good chance to see them again in Atlantic City. 6. Dream Chasers: The Northern Virginia crew made their Spotlight debut and advanced to the semifinals of the Clash For The Cup. I like some of their pieces and should return to the Spotlight in March. 7. 023 Feet: The surprise of the Clash for The Cup. They made a strong run to the semifinals before losing to eventual champion Terror Squad. 8. NY Rens: The Rens will be looking to crack the Top 10 with a great run during the Winter Warz. They have the coaching and personal to do it. 9. Team Takeover: TTO has some decent pieces but only made it to the quarterfinals of the Clash For The Cup. They might return looking to climb up the ladder. 10. I 10 Celtics: The West Coast boys fell short of their expectations when they fell in the quarterfinals against 023 Feet. The Basketball Spotlight Top 10 6th Grade teams are listed below. Remember these rankings are just our opinion and should be taken as such. 1. New World Unlimited: NW takes over the #1 spot after winning the Clash For The Cup impressively. They will probably will return to the Spotlight circuit in March for the DMV Jamboree. 2. Slam City Glory: Glory got bumped off during the Clash but their overall body of work leaves them at the #2 spot. They will return to action at the DMV Jamboree. 3. Team IZOD: IZOD checks in at #3 but has a chance to move up if they get the championship banner at Winter Warz. They definitely have enough talent to run the table in Neptune. 4. B’More Finest: BMF made their name known during the Clash. They made it to the finals and might be returning to Spotlight action in March. 5. Team Takeover: TTO made a semifinal run at the Clash and looks like an impressive squad. Hopefully we see them again very soon. 6. S Elite: The Canadian crew sits at #6 right now. Hopefully we will see them soon maybe in Atlantic City. 7. Hilltoppers Heat: HH made a good run at the Tip Off Classic and they will be returning to action for Winter Warz. They are a threat to win it when they step on the floor. 8. Annadale: Anndale moves up after making it to the quarterfinals of the Clash For The Cup. We will probably see them again during our DMV Jamboree. 9. NY Rens: The NY Rens will be trying to move up after Winter Warz. They have the pieces in place to definitely make it happen. 10. Havoc City: I believe HC is has a good chance to move up. They were missing a few good pieces during the Clash For The Cup. The Basketball Spotlight Top 10 5th Grade teams are listed below. Remember these rankings are just our opinion and should be taken as such. 1. Havoc City: HC remains #1 in the region after winning the Clash For The Cup. 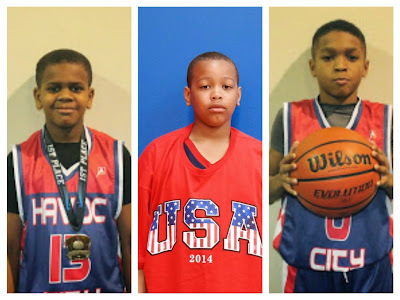 Right now they have to be considered one of the top 5th Grade teams in the country. They should rejoin the Spotlight circuit in Atlantic City. 2. Banneker Kings: The Kings move up after making a final four run at the Clash For The Cup. We will get another look at this group possibly in March at the DMV Jamboree. 3. Riverside Hawks: The Hawks came close to winning the Tip Off Classic and should be one of the favorites to win the Winter Warz. Their skills will get tested once the hit Neptune. 4. Commission: This squad represented NY well by making it to the finals of the Clash For The Cup. Hopefully they will grace the Spotlight with their presence very soon. 5. 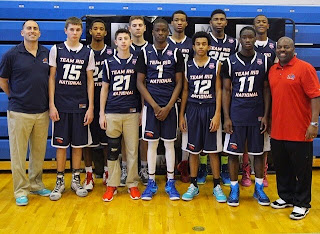 USA National Select: Coach Francis group cracks the Top 5 after a semifinal run at the Clash For The Cup. This ton of talent will try to win a banner come March. 6. Hilltoppers Heat: HH missed out on the Clash For The Cup but will be returning to action during Winter Warz. They have a chance to crash the party and win the banner. 7. 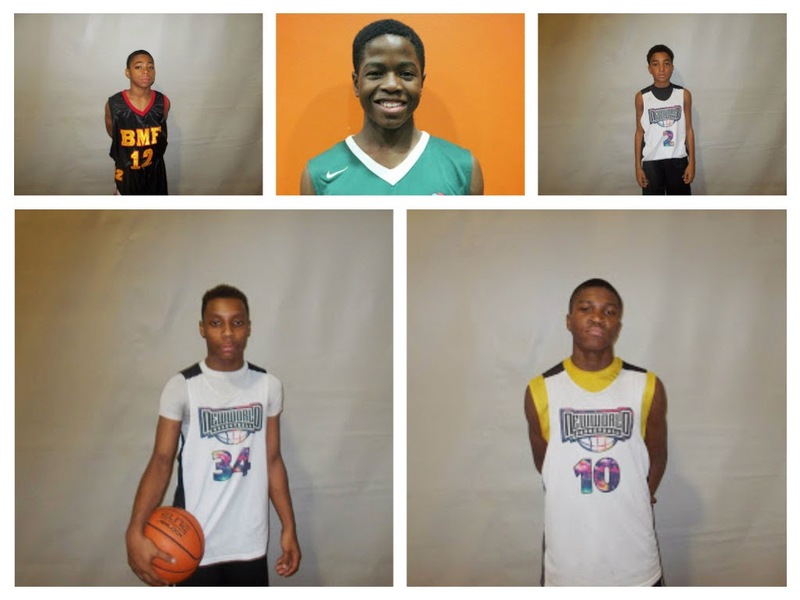 B’More Finest: The BMF fought hard during the Clash in a very tough pool. I think they have the talent to make a deeper run if they return in March. 8. NY Rens: The Rens made it to the final four of the Tip Off Classic and will be returning for more at Winter Warz. We have our eye out for this bunch. 9. 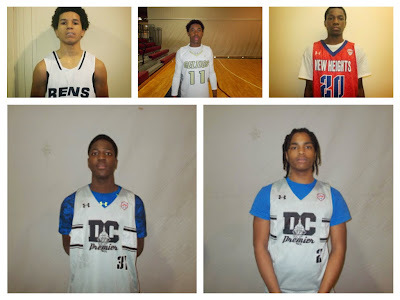 Maryland Finest: I got word that we will be finally checking out this crew in March. Hopefully they have some good pieces to show us. 10. Playtime Panthers: PP rounds out our Top 10. We will probably see them again at the Atlantic City Showcase. Hello Basketball World This is Judah McIntyre signing in again. Happy Monday!!! 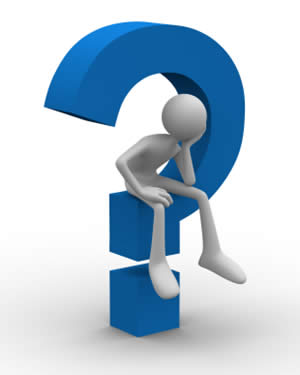 Well this week, I have a lot of preparation to do – Tests, quizzes, school games and tournaments. On Monday, I went to school, got some extra help on Math for an upcoming exam. I stayed late after middle school practice to work on my game after that devastating loss. On Tuesday, I had a major math exam, which I was able to do well on, due to the fact that I studied. Hey guys studying works!!! I had a game, which we lost by 2. We should not have lost that game, but you have to follow what the coach says. Some losses are ours and some are theirs. By Wednesday, the preparation for the P.A.T Invitational began for me. This tournament is usually a big tournament in New York. Many teams believe that the tournament is a “RENS” tournament, but my dad actually started the company and runs the tournament. For me personally, I was working on my game because we playing 15u in the tournament. I did not know which team was going to be in my pool so I spent time working on my game. I also spent time helping my dad order the trophies, rings, shirts etc. I have to say I have a new level of respect for everyone who runs tournaments. Many people complain about the schedule, but it is hard work to get it right – especially when everyone is calling asking for specific times to play. Thursday, I went to school, took a Spanish exam. I did well on the exam. We also began to prep for our 8th grade trip to Washington next week. President Obama is suppose to give the state of the union address while we are there. Thursday, I had an afternoon game, which we won. I had 28 points and 10 assists. I reminded myself though that being a point guard is more than just scoring. It is making sure that everyone one is better and happy when you are on the floor. The only thing that bothers me though is that very few people write about point guards who lead, assist and make everyone better. Most people write about the player who scored 30 points. Friday, I went to school. The day was light because we were in full preparation for our Washington trip. We went over the sites we will see, where we will stay, what we should bring. The P.A.T Invitational – Best In the East – Part I tournament began at Island Garden. My dad picked me up early and we went to Island Gardens early to setup. Saturday – we played and won our pool. I thought the team played like a team and won. The tournament was going well, the games ran on-time Thank God!. Sunday was crazy!!!. My dad had to delay the tournament start time for 1 hour. Many parents and coaches were calling in due to what is now known as “black ice Sunday.” Some parents were in accidents trying to get to the tournament. My mom watched a 20 car crash on the GWB as many cars could not stop due to the ice on the road. While some teams from upstate forfeited their games due to the weather, most of the teams made it games. I am glad we were able to get through the tournament. RENS 8th grade, won the 15u division. We will receive our championship rings in a few weeks. Next week, I am off to Washington DC. I can’t wait to tell you about my trip. The next couple of weeks will be interesting as we prepare for BBallSpotlight - Winter Warz – I hear team RIO will be playing. Also the “Little Ballers” documentary is coming out on All-Star weekend – which I will tell about as well. Until next time! Judah McIntyre signing out. Remember use basketball, don’t let basketball use you!!! The Basketball Spotlight Top 5 4th Grade teams are listed below. These rankings are based on our opinion and should be taken as such. 1. MADE Signature: The DMV squad moves up two spots and takes over the #1 rankings after making an impressive run through the Clash For The Cup. I think we will see them again in March as they try to defend their DMV Jamboree Championship. 2. Havoc City: HC came up a little short at the Clash For The Cup. But their body of work and willingness to play frequently still has them at the #1 spot. 3. Riverside Hawks: RH took the Clash For The Cup off but will be ready to roll out during Winter Warz. They should be one of the favorite to win it all. 4. Team Takeover: TTO impressed us with a championship game run during the Clash. We should see them in action again once we return for the DMV Jamboree. 5. USA National Select: National Select came into the Clash on a mission but ran into eventual champion Made Signature. We will see if Coach Francis can rally the troops for March. The Basketball Spotlight Clash for The Cup is officially in the books. It was a truly great event. But before we say goodbye we would like to share some of the things we learned from this event. Terror Squad Has Nine Lives! Once again the Terror Squad found a way to win the title in the closing moments. This time a steal of the inbounds pass by Isaiah Todd kept their winning streak alive. Both of their Spotlight championships came with 2 point victories. While they are chasing history the pack is changing them. Will their luck run out? Maybe they will crap out in Atlantic City, something strange always happens there. At the start of the season DC Premier was penciled to be the #1 team in the region regardless of sneaker affiliation. By winning the AGame Super Shootout and the Clash For The Cup they have proven that point. Their size, athleticism and experience present a serious problem for anyone to knock them off the throne. When Team Glory split many people were uncertain about how good the newly formed Havoc City Elite would be. I can tell you that their 5th Grade bunch seems to be strong as ever. This group is currently dominating the region while winning the Tip Off Classic and Clash For The Cup. They have enough talent in their arsenal to run the Spotlight table. Living In A New World! New World Unlimited unveiled their 6th Grade squad and they took the Clash For The Cup by storm. They ran through the tournament while cruising to the championship. They have a dominant starting five and a little help off the bench. Hopefully I can't wait to see them rock in a big time tourney outside the confines of the DMV area. A new trend that seems to be on the horizon is players playing for different teams for events and all-star teams forming. 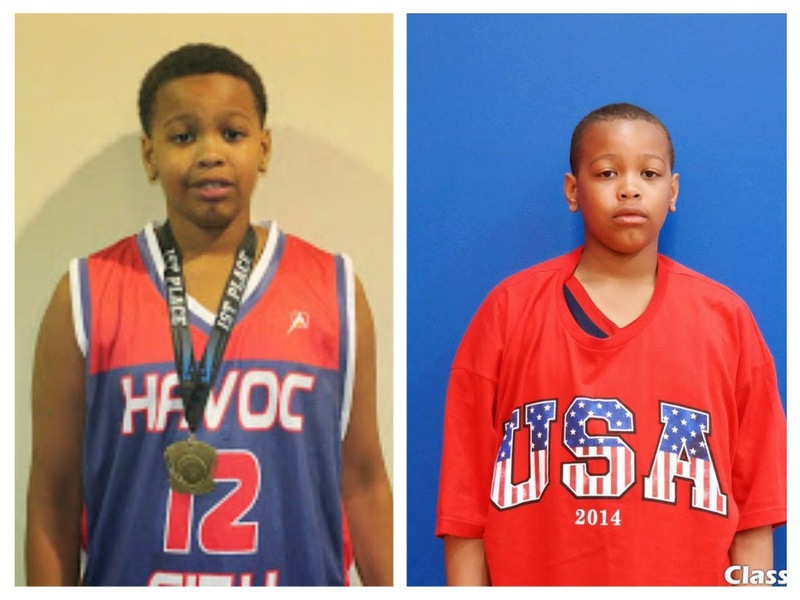 Top rated guard Antonio Sellers has rocked with Havoc City at the Tip Off Classic and National Select during the Clash and Kamaren Rodriquez decided to link up with Havoc City during the Clash. National Select tournament appearances have sparked such all-star squads as The Coalition from the DMV area and The Commission from NYC. It will be interesting to see how long this trend last. 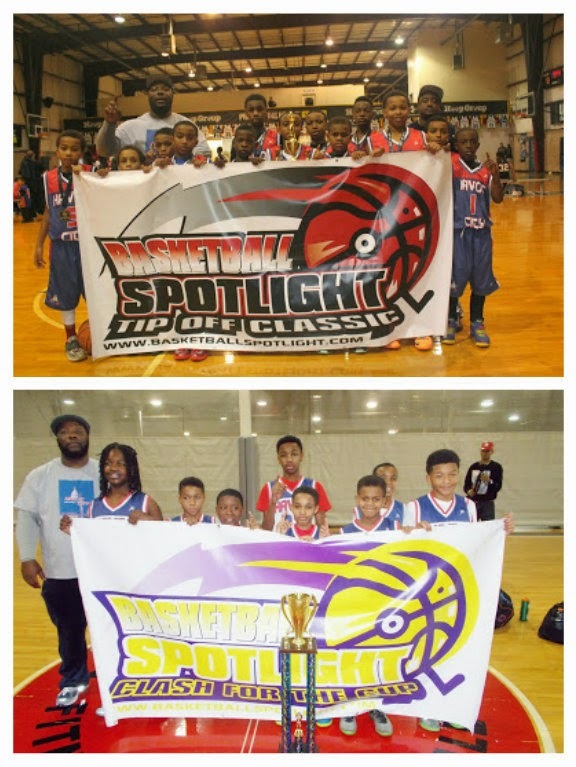 The Basketball Spotlight 5th Grade Division of the Clash For The Cup gave us a look at the Baby Ballers on the rise. Here are the Best of the Best and Top 10 Player Performance Rankings. The combo guard showed his skills in District Heights, Maryland. He led the team in scoring over the weekend and also gave us a glimpse of his play making ability. The young forward showed some polished moves while scoring in the paint. He also was a serious menace on the glass. The future for this kid looks bright. Sellers continued his big scoring from the Tip Off Classic. He put National Select on his back in a couple of the contest. He has a natural fluid game. Few can argue when this kid is in the controls. He has some of the best court vision in the country and continues to be a pass first point guard. This attitude will take him a long way. Martin used some good footwork and moves towards the basket in his Spotlight debut. I’m sure we will be seeing more of him very soon. 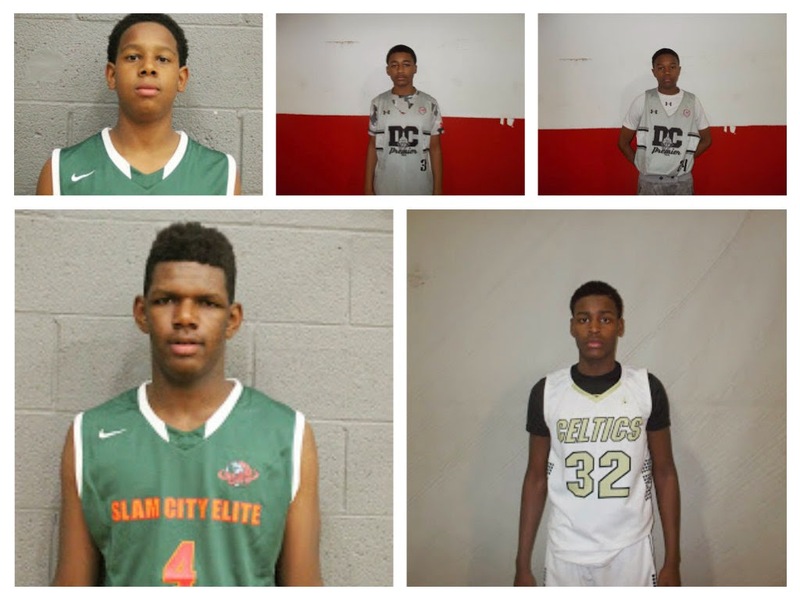 The Basketball Spotlight Clash For The Cup 6th Grade Division introduced us to some of the top ballers in the DMV area. Here’s our Best Of The Best and Top 10 Player Performance Rankings. Hall’s guard and scoring prowess powered New World to the championship. Once he got going he was difficult to slow down. He packs a mean scoring punch. Right now Goddot looked like the best prospect in the building. His wiry frame and developing skills gives the indication of what could be expected down the road. Hopefully he continues to sprout up in size. Jackson had to handle the scoring duties for this team. He’s very versatile while also being able to rebound inside. But when they need buckets his number will be called. Reese proved to be a shot blocking machine in the championship game. He spent most of the contest flying up from behind and blocking shots. He plays with big time energy. Every coach would wish to have a kid like lane suiting up. This kid gave his all on both ends of the floor and seemed to make winning plays. His all-around toughness rubs off on the team. Freeman brings a calm to his squad when running the show. He takes good care of the rock when scoring or diming to teammates. 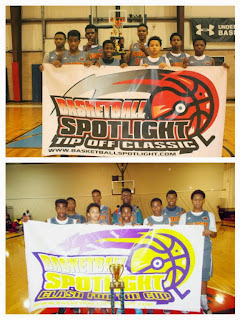 The Basketball Spotlight Clash For The Cup 7th Grade Division gave us a chance to see some new talent. Here’s our Best Of The Best and Top 15 Player Performance Rankings. Ever since the departure of Terrence Williams, Byers has stepped up in a big way. He did damage on the blocks in the semifinals and championship game. Newton caught our eye as one of the most promising prospects in the building. His long, slender type frame and feel for the game really stood out. Tabor did whatever he wanted once he got the rock on this level. He scored so easy at times he seemed to get bored with the competition. Then he moved up to the 8th Grade division and scored more buckets. Bridy made an immediate impact with his play in his Spotlight debut. He could move up or ranking list in a guard thin Class of 2020. Reynolds plays lock down defense for 94 feet. Few point guards really want to bring the rock up against him. The Basketball Spotlight Clash For The Cup 8th Grade Division featured some of the top players in the region. Here’s our look at the Best Of The Best and Top 15 Player Performance Rankings. Mitchell took over the game at times and showed why he’s considered one of the best prospects in the country. He has DC Premier looking like one of the best teams in the country. The more comfortable he gets putting the ball on the floor and making perimeter plays, the more intriguing he becomes. New Heights might have something special with this kid. Anthony had another impressive scoring outing. Averaging over 20 points for the weekend. He can get buckets against anyone. This West Coast trio made their Basketball Spotlight debut and proved they could handle the grind of the East Coast. They provided most of the scoring, passing and play making for this squad over the weekend. Mohammad proved to be a problem playing the anchor spot of the defense. His size allows him to block or alter many shots in his area. Abbott is a sneaky prospect that could turn the corner very soon. He looked impressive during his Basketball Spotlight debut. The 5th Grade Division of the Clash For The Cup gave us a glimpse into the future stars. Here’s a look at some of the top performers from the weekend. Ferrell Crowell Guard (Havoc City)- Crowell shined bright during the Clash For The Cup. He had the trey ball falling all weekend and was able to put up some decent numbers. He tallied 14 pts. vs WDBA, 14 pts vs. Delaware Finest Stars and 13 markers in their championship victory over the Commission. He was one of the top performers at this event. Dug McDaniel Guard (Havoc City)- Point guards like quarterbacks are judged on performance and winning. McDaniel has done both on a high level thus far this season. The ball handling and passing wizard had led his squad to back to back Spotlight banners and the #1 ranking in the region. Kamaren Rodriquez Guard (Havoc City)- Yes, the NYC point guard joined HC for the Clash For The Cup. Once he got used to his new teammates his game began to pick up. He made a good contribution in the finals by scoring 11 points in their victory. 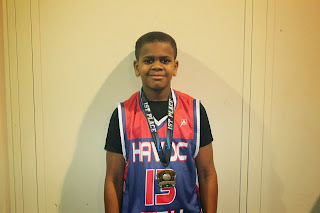 Jay Johnson Guard (Havoc City)- Johnson led the team in scoring in the finals with 14 points. The pint size scoring guard has mastered the floater and can put together some nifty moves to get to the basket. This kid is not bashful and will be willing to put it up at any time. I like his aggressive style of play. Antonio Sellers Guard (National Select)- After helping Havoc City win the Tip Off Classic the top rated player in the land lent his services to National Select. Sellers once again showed way he’s difficult to stop on this level. He has the size to bully through defenders but his skills take it to the next level. He can handle and shot with accuracy while possessing a unique feel for the game. He tallied 14 markers against Havoc City and 14 points in their semifinal loss to The Commission. Jayden Johnson Guard (National Select)- The strong combo guard also got into the action for National Select. He’s very explosive on this level and it really stands out in transition. He finished with 13 points in their semi-final loss to the Commission. Chase Martin Forward (Commission)- Martin plays the forward spot but moved with the quickness of a guard from the high post. Once he got the rock he faced the defense and forced his way to the cup. His 14 points helped The Commission get past National Select in the semi-finals and earn a championship bid. Jaqwan Sanders Forward (Commission)- Sanders also got into the action versus National Select. He also knows how to get his points near the cup while using size and skills. He also scored 14 points in the semi-finals. These two give the Commission a chance to beat anyone. Sammy Scott Guard (Banneker Kings)- Scott continues to be one of the most electrifying guards in this class. His ball handling is very effective especially when he’s under control. He sees the floor with the best of them but can also put it in the basket. 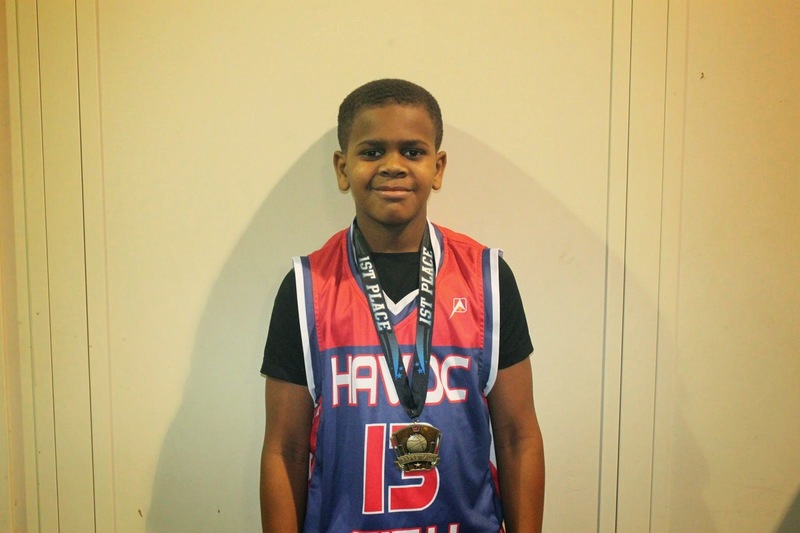 He had one of his best efforts with 13 points in their semi-final loss to Havoc City. 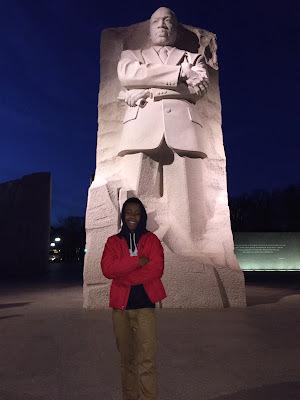 Andrew Rhebottom Forward (Banneker Kings)- When this kid is in his groove the defense is in trouble. The long, lanky forward has good touch and scoring ability. I like how he runs the floor and practices good fundamentals. Someone is teaching him the game very well. His big games were 20 points against Slam City Glory and an 18 point outing versus rival B’More Finest. 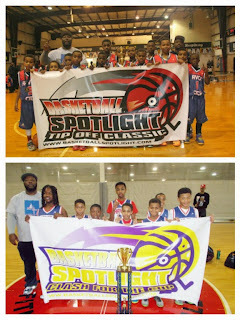 The 6th Grade Division of the Clash For The Cup produced a first time Basketball Spotlight champion. 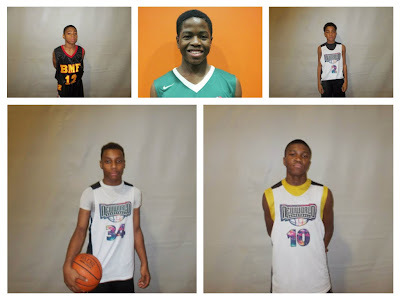 Here is Part 1 of our top performers from the New 24 in District Heights, MD. Jaylen Hall Guard (New World Unlimited)- When I first saw Hall’s rebounding ability I thought he was an undersized forward but then I once I saw him push the rock I had to change my notes. Hall was too much to handle in the finals as he drove the ball down the throat of the defense. He did his best scoring in transition while using his strength to bounce off of defenders. Ariel Goddot Forward (New World Unlimited)- Goddot controlled the paint for the winners. He used his length to get off shots and snatched rebounds. I was surprised with his touch and decent foot work for a player this young. He also kept up with the guards in terms of running the floor. Ray Freeman Guard (New World Unlimited)- Freeman is the brains of the operation. He has an Alani Moore type feel for the game in terms of setting up teammates or scoring himself. During the finals he made a few big plays to help them win the cup. Rayaan Lane Guard (Baltimore Finest)- Lane was one of the toughest guards I saw over the weekend. He can both from transition and from the perimeter. He’s a throwback type of player and isn’t afraid to drive the paint against shot blockers. He’s the heart and soul of this squad. 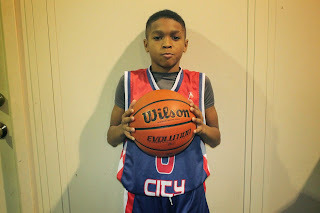 Julian Reese Forward (Baltimore Finest)- Reese was a shot blocking machine in the championship. He’s not that long but he knows how to time the opponents release at the right moment. He’s an active body that you always need to account for on the floor. Christian Moore Guard (Baltimore Finest)- Moore didn’t have a great showing in the finals but from his movement, size and confidence in his shot I can tell he’s one of the best 6th Graders in that area. He got anywhere he wanted on the floor while showing some high level play making ability. Kino Lilly Guard (Team Takeover)-Lilly was a pleasant surprise this weekend. He's a pesky guard that showed some range on his shot and driving ability. He seems to be coming out of his shell a little in terms of confidence so I will be looking for more outings from him soon. Darius Johnson Guard (Team Takeover)- The spark plug guard for this squad has a lot of bounce and determination in his game. He's eager to force the action and make plays. I see him transitioning into a full time point guard soon. Zion Harmon Guard (Slam City Elite)- "The Lion" came up short in this one but not before giving us some heroics. In their pool play match-up with Annadale Bulldogs Harmon nailed a 3 pointer as time expired to give his team the win. He's definitely a player that loves having the rock in these types of situations. Savion Jackson Forward (Annadale Bulldogs)- Annadale seem to go as far as Jackson takes them. The slashing forward is capable of pushing the rock up the floor like a guard and scoring in a variety of ways. He can get it done off the dribble or after grabbing his own rebound. The 7th Grade Division of the Basketball Spotlight Clash For The Cup ended in thrilling fashion. Here’s Part 2 of our Top Performers from the weekend. Nate Tabor Forward (I 10 Celtics)- Tabor was one of the most dominant players in the while also playing on the 8th Grade level. He polished game in the post looked easy at times as he put up serious numbers. 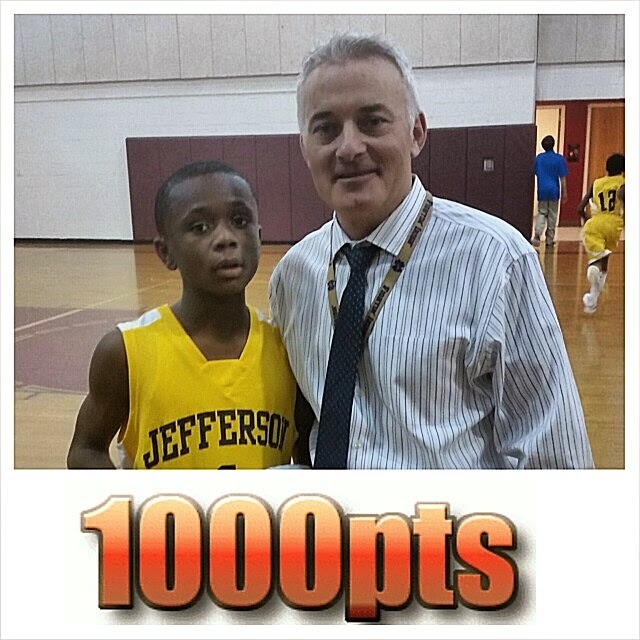 One of his best outings came against Baltimore Finest 8th Graders. The forward dropped 26 points and also led his 7th Grade squad to the quarterfinals. Antonio Bridy Guard (Dream Chasers)- Bridy turned out to be one of the best prospects in this division. The big guard runs the point but also will carry the scoring load if needed. 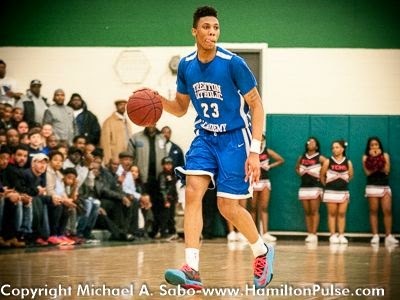 He has top notch athleticism and the ability get anywhere on the floor. His big time play making helped the Dream Chasers reach the final four. Jarel Brown Forward (Dream Chasers)- Brown also got into the action for the Dream Chasers. The straight lined forward ran the floor like a deer and finished well after receiving the rock. He’s also a good athlete that willing to play the defensive end of the floor. Canin Reynolds Guard (Team Takeover)- TTO got an unexpected early exit but it wasn’t because of Reynolds. The floor general left it all on the floor. He pushed the rock in transition before either scoring or dishing to teammates. He really showed an impact on the defensive end by harassing ball handlers and forcing turnovers. He showed the ability to be a true leader on the floor. 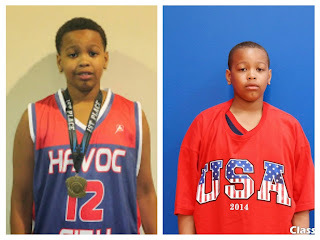 Ronald Polite Guard (Havoc City)- Havoc City was completely over matched in their quarterfinal loss to Slam City Elite but that didn’t stop Polite from stepping up. He was able to score some tough buckets especially when he used his floater. He played his heart out in the loss. Javon Peace Guard (6th Man Warriors)- The Warriors advanced to the quarterfinals and Peace was one of the main reasons. The scoring guard put together a few good outings. 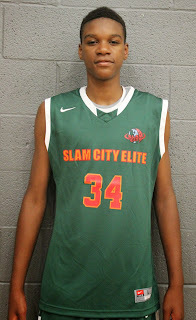 He tallied 23 markers versus Slam City Elite and then returned with a 25 point performance against Team Final. Zion Bethea Guard (King Street Kings)- KSK had a surprised early exit from the Clash but Bethea still managed to make his presence felt. The strong combo guard finished with a team highs of 16 points in both narrow defeats to Havoc City and DC Premier. The 7th Grade Division of the Basketball Spotlight Clash For The Cup ended in thrilling fashion. Here’s Part 1 of our Top Performers from the weekend. Cameron Byers Forward (Slam City Elite)- Byers once again carried the load in the paint and helped the “Terror Squad” win the championship. Once he got the ball in the paint he powered up for strong buckets. His soft hands and massive frame makes it difficult for any players on this level to defend him. He had a team high 17 points in the semifinals and another 15 markers in the championship. 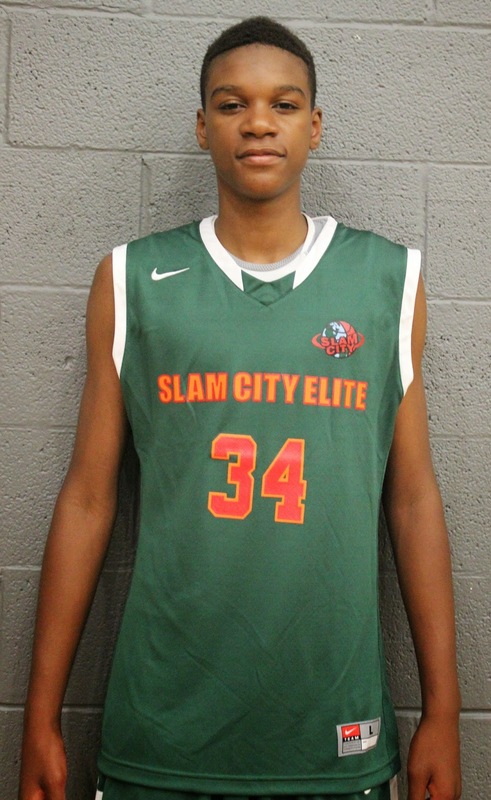 Isaiah Todd Forward (Slam City Elite)- Todd was quiet for most of the finals but made an amazing play with seconds remaining to help Slam City Elite win the championship. With the game tied at 34 he stole the inbounds pass and went in for a layup as time expired. 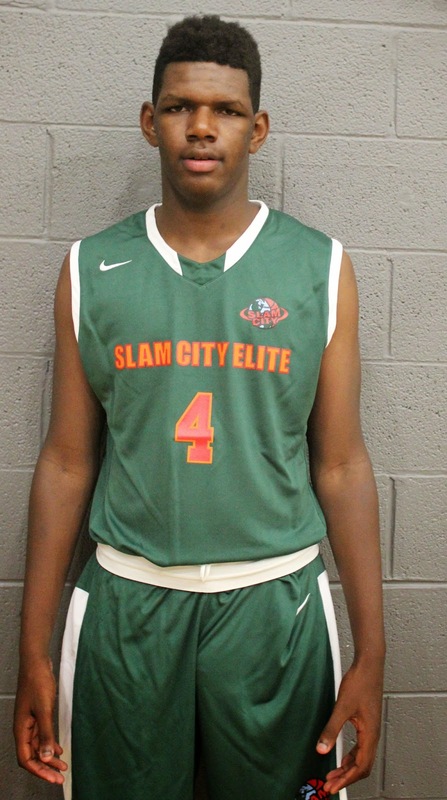 Montez McNeil Forward (Slam City Elite)- While Byers demanded attention Mathis was able to eat on the weak side. He played with a lot of energy and also showing some prowess on the blocks. He carved up 023 feet for 14 points in their semi-final win. He’s one of the youngest players on the team and is nowhere near his ceiling. AJ Hoggard Guard (Slam City Elite)- Hoggard had a solid weekend especially in the quarterfinal game where he led the team in scoring. But he actually looked his best when he played with Slam City 8th Grade team. He looked more motivated and interested in the game. He also led the team in scoring that game with 12 points (4 treys). Delonnie Hunt Guard (DC Premier)- Hunt plays either guard position and does it well. He was able to breakdown the defense and score when given the opportunity. In the second half of the finals he hit a big trey ball and stepped to the line in the clutch to hit two free throws and tie the game up at 34. Woody Newton Forward (DC Premier)- The DC Premier brand has a good looking prospect in Newton. The wiry forward is capable of doing a variety of things on the floor and still looks like a baby. He barely has control of his body when making moves which means he’s nowhere near his potential on the floor. He could grow to about 6’8 and keep his wing skills. Scary! Mike Sumner Guard (DC Premier)- Sumner is the go to guy for this squad at the moment. He used dribble drives and nifty moves to score the ball. I like his handle and feel for the game. I think he will eventually move to the point guard slot down the road. Tejon Ford Guard (DC Premier)- Ford handles most of the point guard duties for this team. He has a strong frame and keeps the rock low to the floor. His displayed some good court vision and decision making throughout the weekend. Anton Harrison Forward (DC Premier)- Harrison appears to be a little undersized for the power forward position moving forward but right now he has enough game to make it work. I like his face up shot facing the basket and how light he is on his feet. A disturbance beyond our control caused the Basketball Spotlight Clash For The Cup 2nd Grade Championship to end early. Since the Gauchos were leading at the time and neither team was at fault they were awarded the championship. Congratulations to this 2nd Grade Group for winning the title. The Basketball Spotlight Clash For The Cup 8th Grade Division had some of the top talent in the region down at District Heights. Here’s Part 2 of our Top Performers from the weekend. Cole Anthony Guard (NY Rens)- “The Natural” once again put up big numbers at the Spotlight. He hit up I 10 Celtics for 23 points including 3 treys, 18 markers versus B’More Finest and 20 points in their semi-final loss to DC Premier. The kid has always been able to score the ball but I was also impressed with his improved play making ability in terms of getting teammates involved. Joe Touissant Guard (NY Rens)- Joe also brought his A game to the Clash for The Cup. He’s totally wired to score and let the I 10 Celtics know by dropping 25 points on them during their pool play victory. He’s one of the most physical guards in the region and plays a fearless style when attacking. 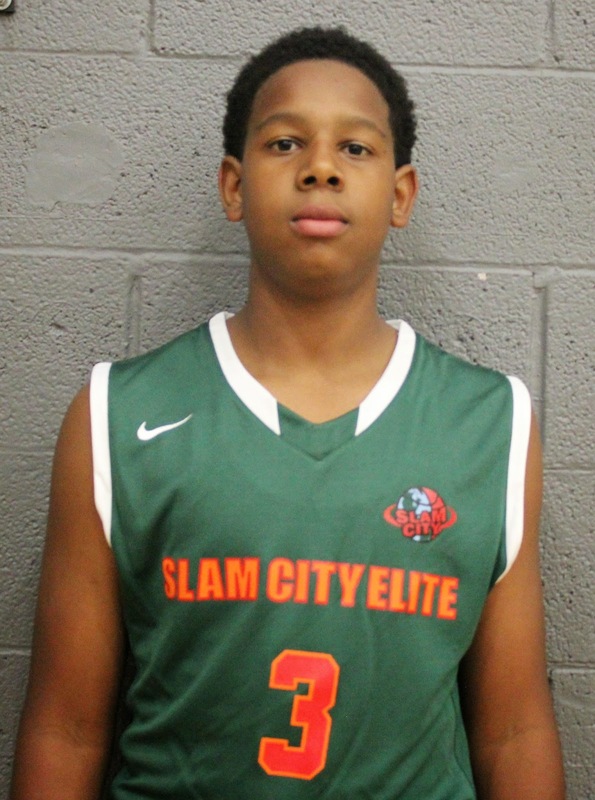 Judah McIntyre Guard (NY Rens)- Judah returned to the starting line-up and paid dividends. The coach on the floor ran the show as usual and also helped out with the scoring. I like how he’s put in the work to once again be mentioned with the top floor generals in the region. Precious Achiman Forward (New Heights)- The more I see Precious the more his game grows on me. He scored 14 markers against both Philly Triple Threat and Slam City Elite. The addition of 6’8 Isah Mohammed allows him to move away from the basket a little more and display his perimeter skills. Don’t be surprised if turns out to be a top notch prospect in a few years. Khalif Battle Guard (New Heights)- Battle started the tournament with his best game scoring 16 points against Philly Triple Threat. During that game he banged home two treys and made a living at the charity stripe. He looks his best when he’s staying aggressive and looking for his shot. Ryan Myers Guard (New Heights)- Myers assumes the role as the team’s point guard but it’s hard for him to hide his scoring mentality. He enjoys pushing the rock in transition and scoring in traffic. He has a decent floater and shows the ability to complete tough finishes. Isan Mohammed Forward (New Heights)- The 6’8 new edition anchored the defense well. He blocked and altered shots all weekend. His presence alone made things very difficult for opponents. His offensive skills are still developing but he should get there. Adeleye Oyekanium Forward (Harlem Jets)-Another interesting looking prospect was Oyekanium. The high motored forward has extended his game to the wing and showed it by nailing two treys (17 points) in their win versus Baltimore Supreme. He also hit up B’More Finest for 22 markers in that victory. Jose Figeroa Forward (Harlem Jets)- Jose helped out the Jets the best he could by tallying 14 points in their victory over Baltimore Supreme and chipping in another 14 points in their quarterfinal loss to the I 10 Celtics. He gives HJ another big body to push around opponents in the paint. 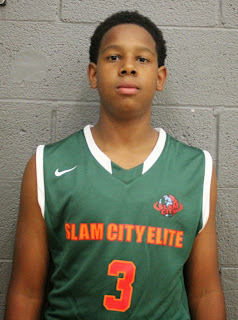 Jalen Abbott Guard (Slam City Elite)- Look out DMV are because Abbott is a new stud on the horizon. The smooth wing guard scored 20 points versus Philly Triple Threat. His size and bounce in his game makes him a name to know down the road.